While most of my friends dying to visit popular cities in the world, for me, I would prefer to visit places that offer me a scenic view of mountains, lakes, or where I can forget the hustle bustle of the busy city. This is obviously shown in my travel wishlist. I love visiting historical buildings, museums, savour the local cuisines but if I have to choose, I would still prefer to spend my time walking by the lake. Perhaps with some packed food from home as well. There are plenty of exciting travel destinations out there for active travellers, and I always believe that active travel is the best sort of travel. You want to have an adventure that is packed full experience, and this is something that is best achieved by making sure you discover different places and push yourself out of your comfort zone. Get a load of these jaw-dropping destinations that are going to fulfil all your active travel needs. 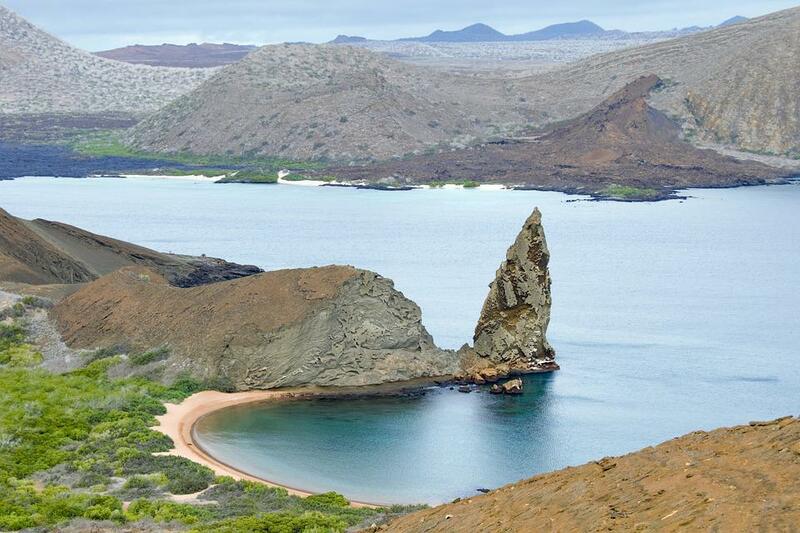 One of the most breathtaking places in the world has got to be Ecuador’s famed Galápagos Islands. This is a wonderful opportunity to walk in the footsteps of Darwin and learn about the history of these stunning islands. Any aquatic based activities are available in abundance here, but I would particularly recommend the snorkelling and surfing. Having said that, the Galápagos Islands also offers amazing canopy walks through some of the most incredible rainforests in the world too. Rwanda is another place full of supreme visual beauty and an aura that very much seems to capture the spirit of adventure. The first thing I think of when I imagine Rwanda is majestic mountain gorilla. Head to Ruhengeri and check out the inimitable Volcano National Park where you can enjoy a walking safari to see mountain gorillas in their natural habitat. This is something that you may only have a limited time to be able to achieve, as these magnificent beasts are endangered. I fell in love with New Zealand the second I laid eyes on the Lord of the Rings movies, and for good reason. This is one of the most scenic and exciting nations on Earth, even if you’re not taking the One Ring to the fires of Mount Doom. The nation’s North Island is most definitely the place to be in New Zealand, as it offers amazing opportunities for hiking trails, not to mention surfing too. I would definitely recommend a visit to the exquisite Lake Taupo and heading to the Great Lake Centre next door. Taking a walk around the lake is an excellent way of staying active and enjoy some exquisite scenery at the same time. Looking for travel mates to explore New Zealand, probably you may want to join me on 18D17N Winter in New Zealand trip next year! There are so many areas of exquisite beauty in New England, but Maine has to be the pick of the bunch. In addition to being incredibly beautiful, it is also the perfect place for active, adventurous vacations. In particular, I’m suggesting heading to Acadia National Park, where you hike, cycle, swim, fish, or even ski! The summer is the best time to visit though, or Fall just as the leaves change. Hike the scenic trails through the park, and make sure you indulge in a bit of via ferrata climbing too. So much of Brazil remains undiscovered by visitors, and untouched by the hand of tourism. There are a lot of great places to visit here that I would bet you’ve not heard of before. For instance, you should definitely take the time to visit the staggering Chapada Diamantina highlands, the famed diamond mines. Here you will be able to hike the surrounding area, as well as swim in a beautiful underground pool. There is no doubting that active travel adventures have to rank among the most important for those of us who like to get out and do something. These are just some of the great destinations for curious travellers who enjoy active travel and are always looking for their next great adventure. I agree when people say that once we get into active travelling that involves trekking, hiking, or water activities, it can be quite addictive. But since it is not a bad thing, I don’t see any reasons for not doing all that. And oh, I know that Indonesia should be on the list as well! If you feel like there are any places that I have missed off the list that need to be included, please spill in the comments section below. Be active and keep on exploring!